Competitiveness, governance and globalization: What matters for poverty alleviation? Currently, poverty and food deficiency are prevalent in the region where two-thirds of the population is resided according to World Bank estimates [Klytchnikova (2017). Counting calories: the data behind food insecurity and hunger. The World Bank Data Blog. Available at http://blogs.worldbank.org/opendata/counting-calories-data-behind-food-insecurity-and-hunger?CID=POV_TT_Poverty_EN_EXT]. This panel data study is set to analyze the effect of competitiveness, governance and globalization on poverty in case of 73 developing countries from 2005 to 2016. The indicators of governance are extracted from World Governance Indicators, and an overall index is constituted using factor analysis. This study has estimated eight models with different proxies of governance and one without governance. The results estimated using feasible generalized least squares approach which confirmed that all governance indicators have a negative impact on poverty. Similarly, globalization, competitiveness and development expenditures also assist in poverty alleviation. Argent, J., & Begazo, T. (2015). Competition in Kenyan markets and its impact on income and poverty: A case study on sugar and maize. World Bank Policy Research working paper (7179). Retrieved from: http://documents.worldbank.org/curated/en/239021468254953019/pdf/WPS7179.pdf. Accessed 10 Feb 2018. Becker, G. S. (1995). Human capital and poverty alleviation. Human Resources Development and Operations. HRO Working Papers; no. 52. Washington, DC: World Bank. Retrieved From: http://documents.worldbank.org/curated/en/121791468764735830/Human-capital-and-poverty-alleviation. Accessed 10 Feb 2018. Blaxall, J. (2000). Governance and poverty. Paper presented at the joint workshop on poverty reduction strategies in Mongolia. The World Bank, Ulan Bator, Mongolia, 4 to 6 October. Retrieved from: http://www.worldbank.org/poverty/strategies/events/mongolia/gov.pdf. Accessed 10 Feb 2018. Bosco, B., & Poggi, A. (2016). Government effectiveness, middle class and poverty in the EU: A dynamic multilevel analysis. University of Milan Bicocca, Department of Economics, Management and Statistics Working Paper No. 344. Retrieved from: https://www.researchgate.net/profile/Bruno_Bosco/publication/304624274_Government_Effectiveness_Middle_Class_and_Poverty_in_the_EU_A_Dynamic_Multilevel_Analysis/links/577500c808aead7ba06fbe66/Government-Effectiveness-Middle-Class-and-Poverty-in-the-EU-A-Dynamic-Multilevel-Analysis.pdf. Accessed 5 Feb 2018. Carballo, A. E. (2010). Poverty and corruption in Latin America, challenges for a sustainable development strategy. Paper presented to the 5th Latin American Congress of Political Sciences, organized by the Latin American Association of Political Sciences (ALACIP). Buenos Aires, July 28–30 2010. Retrieved from: https://papers.ssrn.com/sol3/Delivery.cfm/SSRN_ID2056462_code1327823.pdf?abstractid=2056462&mirid. Accessed 5 Feb 2018. Dincer, O. C., & Gunalp, B. (2008). Corruption, income inequality, and poverty in the United States. Retrieved from: http://ssrn.com/abstract=1158446. Accessed 1 Feb 2018. Dung, C. X (2004). The impacts of trade openness on growth, poverty, and inequality in Vietnam: Evidence from cross-province analysis. Paper Presented in at the 53rd AFSE Congress, Paris. Retrieved from: https://scholar.google.com.pk/scholar?hl=en&q=Dung%2C+C.+X+%282004%29.+The+impacts+of+trade+openness+on+growth%2C+poverty%2C+and+inequality+in+vietnam%3A+evidence+from+cross-province+analysis.&btnG=&as_sdt=1%2C5&as_sdtp. Accessed 10 Feb 2018. Gomanee, K., Morrissey, O., Mosley, P., & Verschoor, A. (2003). Aid, pro-poor government spending and welfare. Working Paper No. 03/03. Retrieved from: https://papers.ssrn.com/sol3/papers.cfm?abstract_id=412244. Accessed 10 Feb 2018. Haq, R., & Zia, U. (2009). Does governance contribute to pro-poor growth? Evidence from Pakistan (No. 2009: 52). Pakistan Institute of Development Economics. Retrieved From: http://www.pide.org.pk/pdf/Working%20Paper/WorkingPaper-52.pdf. Accessed 25 Jan 2018. Hasan, R., Quibria, M. G., & Kim, Y. (2003). Poverty and economic freedom: Evidence from cross country data. East–West center Working Paper No. 60, East West Center. Online Available at: https://www.researchgate.net/publication/5021345_Poverty_and_-Economic_Freedom_Evidence_from_Cross-Country_Data. Accessed 10 Feb 2018. Herrmann, P., Tausch, A., Heshmati, A., & Bajalan, C. S. (2009). Efficiency and effectiveness of social spending. IZA Discussion Paper Series no 3482. Retrieved from https://papers.ssrn.com/soL3/papers.cfm?abstract_id=1136283. Accessed 10 Feb 2018. Heshmati, A. (2004). The relationship between income inequality, poverty and globalization. IZA Discussion Paper Series no 1277. Retrieved from https://papers.ssrn.com/sol3/papers.cfm?abstract_id=586066. Accessed 3 Feb 2018. Heshmati, A., & Kim, J. (2014). A survey of the role of fiscal policy in addressing income inequality, poverty reduction and inclusive growth. IZA Discussion Paper Series no 8119. Retrieved from https://papers.ssrn.com/sol3/papers.cfm?abstract_id=2429598&-download=yes. Accessed 10 Feb 2018. Holmberg, S., & Rothstein, B. (2010). Quality of Government is Needed to Reduce Poverty and Economic Inequality. QoG Working paper series, 2010(3), 3. Retrieved From: http://qog.pol.gu.se/digitalAssets/1350/1350124_20103_holmberg_rothstein.pd. Accessed 5 Feb 2018. Johansson, C., & Lext, C. J. (2013). Corruption and income inequality: A study of the impact from different legal systems. Retrieved From: http://www.diva-portal.org/smash/get/diva2:633870/FULLTEXT01.pdf. Accessed 8 Feb 2018. Kanwal, A., & Munir, K. (2015). The impact of educational and gender inequality on income inequality in South Asia. Retrieved From: https://mpra.ub.uni-muenchen.de/66661/1/MPRA_paper_66661.pdf. Accessed 10 Feb 2018. Laabas, B., & Limam, I. (2004). Impact of public policies on poverty, income distribution and growth. IFPRI/API collaborative research project. Retrieved from: http://168.187.58.22/images/publication/pdfs/264/264_wps0401.pdf. Accessed 10 Feb 2018. Musiba, C. (2014). The impact of government expenditure on pro poor sectors in reducing poverty: The case of Kibaha District (Doctoral dissertation). Retrieved From: http://scholar.mzumbe.ac.tz/bitstream/handle/11192/360/MSc%20ECO-Dissertation-Crispin%20Musiba-2013.pdf?sequence=1. Accessed 10 Feb 2018. Negin, V., Rashid, Z. A., & Nikopour, H. (2010). The causal relationship between corruption and poverty: A panel data analysis. MPRA paper no 24871. Available at https://mpra.ub.uni-muenchen.de/24871/1/MPRA_paper_24871.pdf. Neutel, M., & Heshmati, A. (2006). Globalization, inequality and poverty relationships: A cross country evidence. IZA Discussion Paper Series no 2223. Retrieved from https://papers.ssrn.com/sol3/Papers.cfm?Abstract_id=921391. Accessed 10 Feb 2018. N’zue, F. F., & N’guessan, C. J. F. (2006). The causality between corruption, poverty and growth: A panel data analysis. Les cahiers du SISERA, 1. Working Paper Series. Retrieved From: http://pdf.usaid.gov/pdf_docs/Pnadh629.pdf. Accessed 10 Feb 2018. Ogboru, I., & Abimiku, A. C. (2010). The impact of corruption on poverty reduction efforts in Nigeria. In Annual national economic society (NES) conference. Retrieved From: https://www.researchgate.net/profile/Dr_Abimiku/publication/228469169_THE_IMPACT_OF_CORRUPTION_ON_POVERTY_REDUCTION_EFFORTS_IN_NIGERIA/links/54fc5ade0cf270426d102825.pdf. Accessed 2 Feb 2018. Rigobon, R., & Rodrik, D. (2004). Rule of law, democracy, openness, and income: Estimating the interrelationships (No. w10750). National Bureau of Economic Research. Retrieved From: http://www.nber.org/papers/w10750. Accessed 10 Feb 2018. Rodrik, D. (2018). Technology and Developing Countries; Will new technology help or harm developing countries? Economia Para El Desarrollo. Retrieved from http://economiaparaeldesarrollo.blogspot.com/?cv=1. Accessed 10 Feb 2018. Rothstein, B., & Holmberg, S. (2011). Correlates of corruption. In The Quality of Government Institute, University of Gothenburg Working Paper Series. Retrieved From: http://www.pol.gu.se/digitalAssets/1357/1357840_2011_12_rothstein_holmberg.pdf. Accessed 10 Feb 2018. Sumarto, S., Suryahadi, A., & Arifianto, A. (2003). 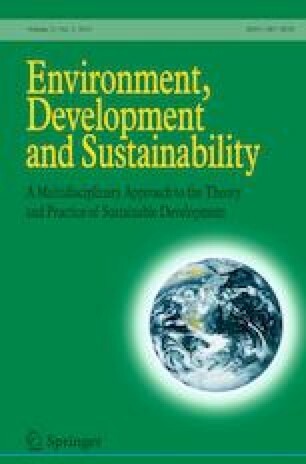 Governance and poverty reduction; evidence from newly decentralized Indonesia. MPRA Working paper SMERU research institute. Retrieved from https://mpra.ub.uni-muenchen.de/58023/1/MPRA_paper_58023.pdf. Accessed 10 Feb 2018. Topalova, P. (2007). Trade liberalization, poverty and inequality: Evidence from Indian districts. In Globalization and poverty (pp. 291–336). University of Chicago Press. Retrieved From: http://www.globalsepri.org/UploadPhotos/2008912182833302.pdf. Verner, D. (2004). Education and its poverty-reducing effects: The case of Paraiba, Brazil. Policy Research Working Paper 3321, and Washington, DC: World Bank. Retrieved From: http://library1.nida.ac.th/worldbankf/fulltext/wps03321.pdf. WDI. (2017). World development indicators. Available at https://datacatalog.worldbank.org/dataset/world-development-indicators. WEF. (2017). World economic forum—the global competitiveness report 2017–2018. Available at https://www.weforum.org/reports/the-global-competitiveness-report-2017-2018. WGI. (2017). Worldwide governance indicators. Available at https://datacatalog.worldbank.org/dataset/worldwide-governance-indicators. UNDP, Governance for sustainable human development: A UNDP policy document, Glossary of key terms, at http://mirror.undp.org/magnet/policy/glossary.htm. World Bank. (2016). Poverty and shared prosperity 2016: taking on inequality. World Bank Group. Retrieved from https://openknowledge.worldbank.org/bitstream/handle/10986/25078/9781464809583.pdf. World Economic Forum. (2015). How much has global poverty fallen over the past 25 years? Retrieved form: https://www.weforum.org/agenda/2015/07/how-much-global-poverty-fallen-past-25-years/.